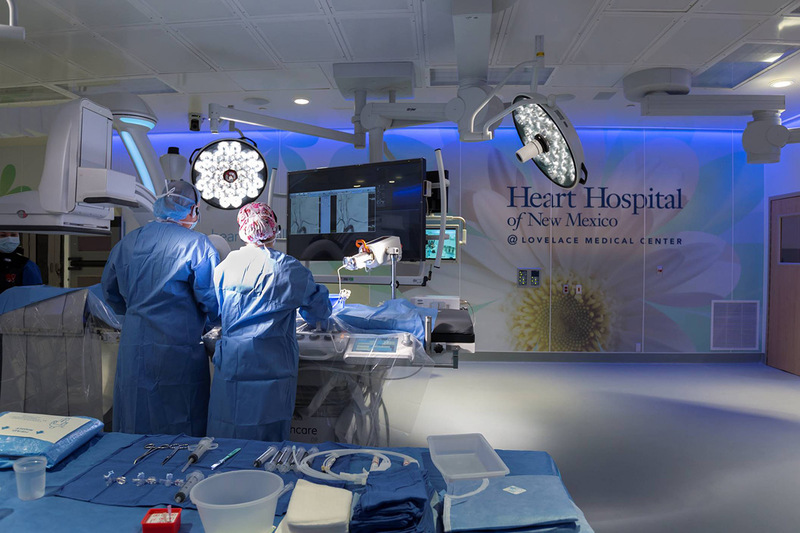 Albuquerque and New Mexico as a whole are very fortunate to have one of the premiere Hybrid operating rooms in the world, and we at Design Group enjoyed the process and results of working on such and remarkable project. 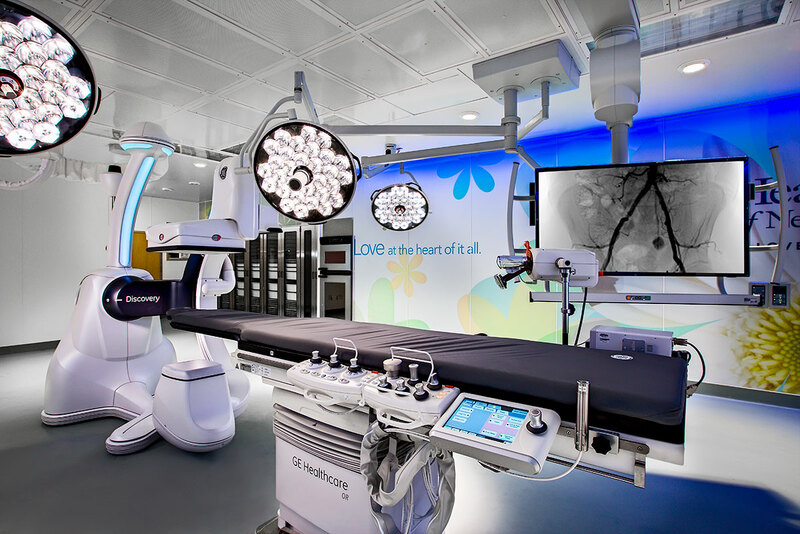 The hybrid suite has attracted and retained world class medical staff to our community. 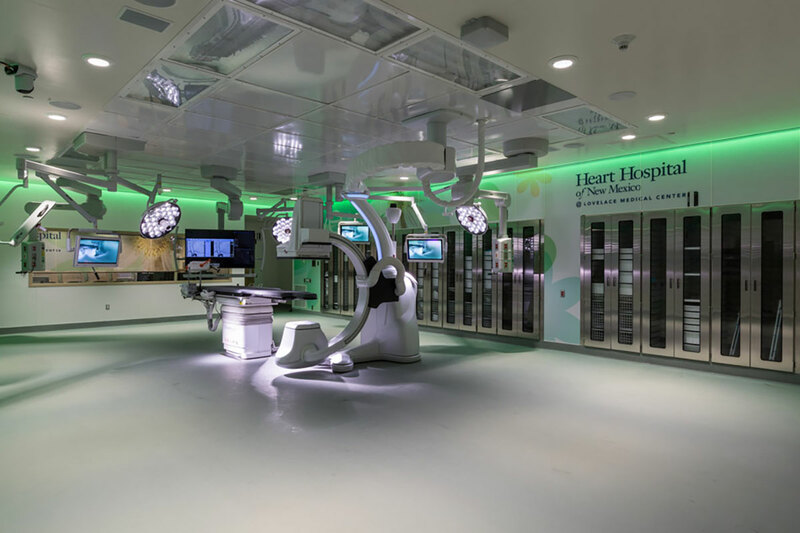 Lovelace Heart Hospital’s newest operating room is a $4.6 million, 2,200 square foot hybrid suite that combines cutting-edge surgical technology with the most sophisticated imaging capabilities. 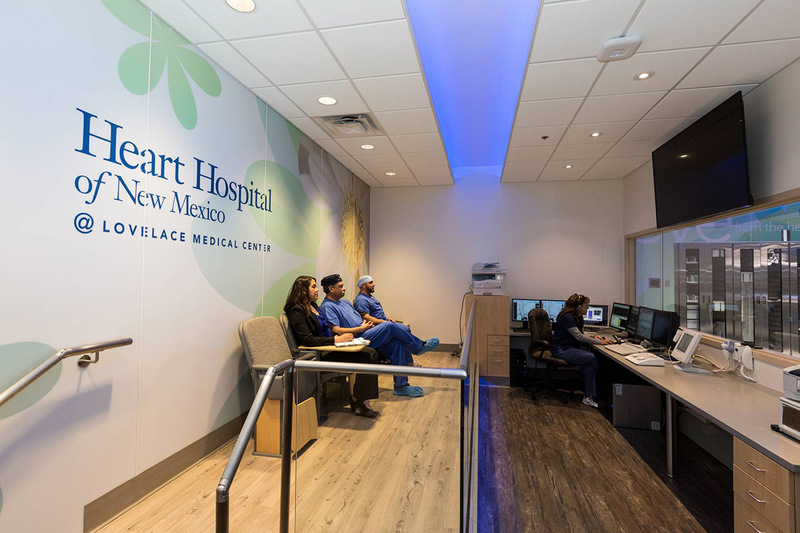 The Hybrid OR provides many benefits to Lovelace’s team and patients, allowing the cardiology team to assess, repair and then verify in one room without moving the patient to do so. 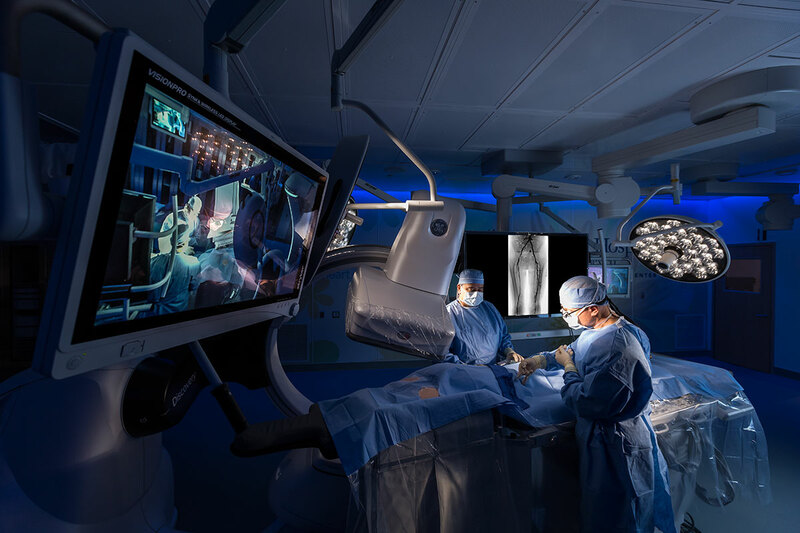 Lovelace Heart Hospital Hybrid Room is the first installation of GE Discovery IGS 740 imaging technology west of the Mississippi and only the second in the United States. 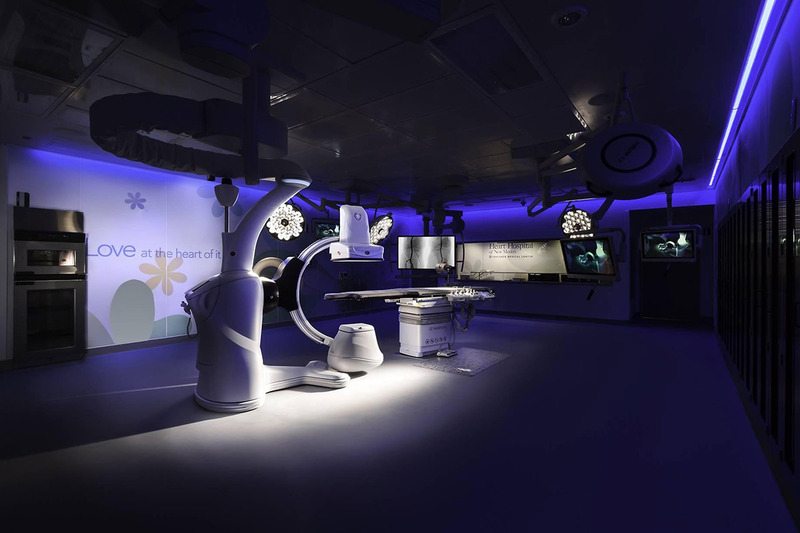 GE Discovery is a mobile, robotic unit from GE that performs medical imaging, including 3D visualization and real time 3D guidance. 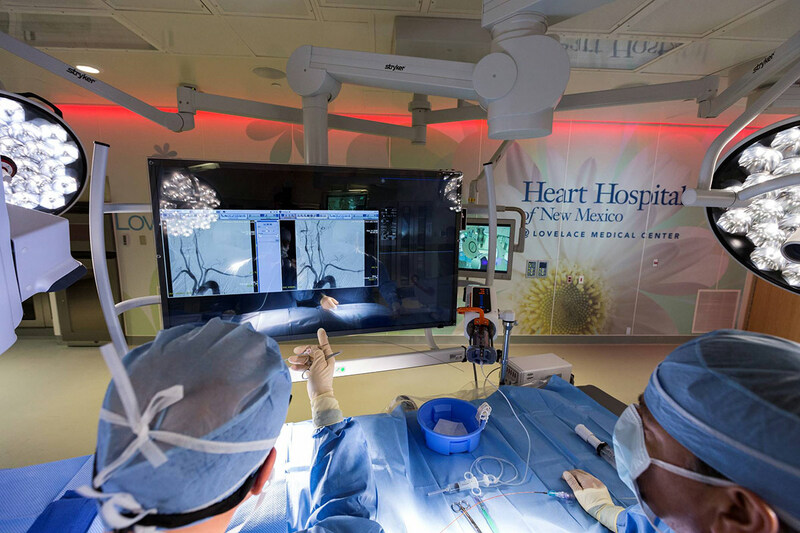 This technology assists in creating an environment that integrates a catheterization imaging suite and cardiology operating room into one space. 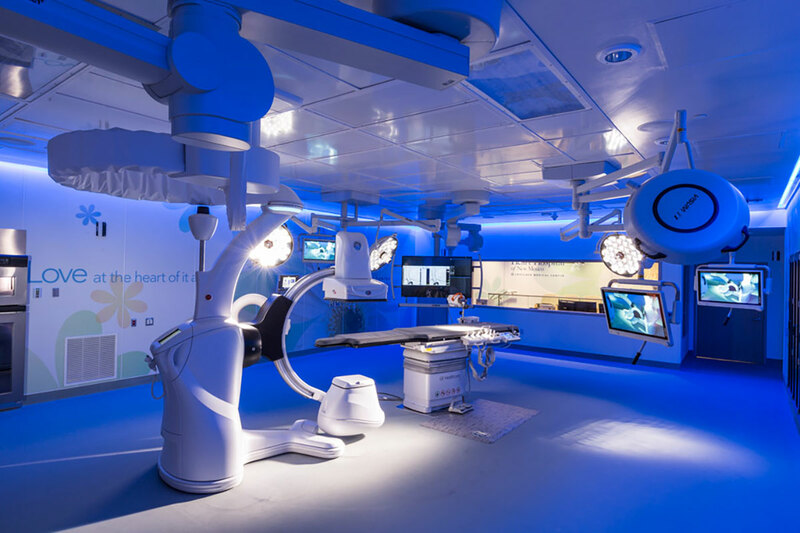 With over 1,100 square feet dedicated to the operating room alone, it is one of the largest hybrid rooms in the country. This allows for maximum flexibility for types of procedures and for adaptability to future procedures and uses that are not yet conceived.